There’s nothing better than that new car feeling, and with the comprehensive range of car finance and insurance solutions offered by Toyota Finance, you’ll be driving your new car out of Maitland & Port Stephens Toyota quicker than you ever thought possible..
Maitland & Port Stephens Toyota has partnered with Toyota Finance and Insurance to provide a range of flexible products and services to suit almost every need and circumstance. 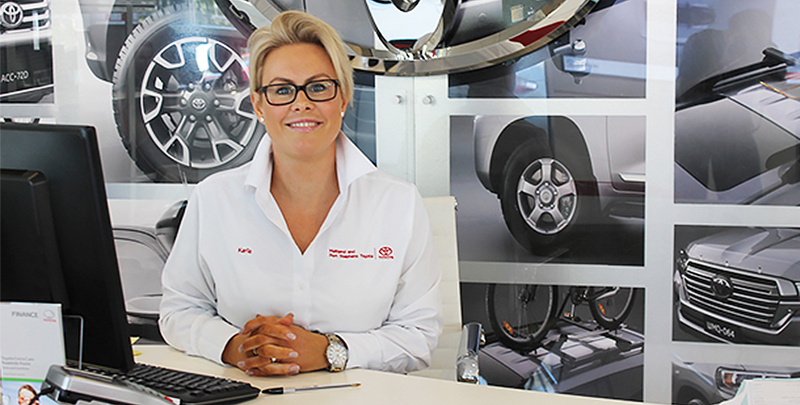 In addition to dealing with an experienced and accredited dealership at Maitland & Port Stephens Toyota when you buy your next new or used Toyota, you can also enjoy the peace of mind knowing that you have access to Finance and insurance from one of Australia's most experienced vehicle finance providers with over 30 years in operation. At Maitland & Port Stephens Toyota our number one priority is Guest satisfaction, and Toyota Finance and insurance shares the same philosophy. And rest assured, the same expertise that goes into every Toyota vehicle is also behind the solutions offered by Toyota Finance and Insurance. Want that new car feeling? Let's make it happen at Maitland & Port Stephens Toyota. With so many new and used cars out there, it's not easy to find the right one for your needs. Fortunately, car finance is a lot easier with Toyota Finance at Maitland & Port Stephens Toyota. Talk to Maitland & Port Stephens Toyota about a Consumer Fixed Rate Car Loan from Toyota Finance today. With Toyota Access, you'll be surprised at how soon you could be reliving that new car feeling. Toyota Access is a smart program that gives you an exceptional level of choice, confidence and flexibility when it comes to car finance, both now and in the future. Which is available at Maitland & Port Stephens Toyota today. 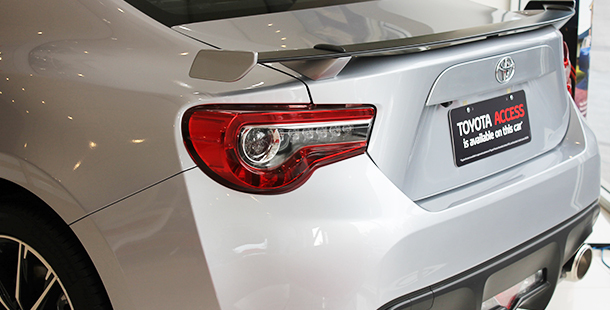 Talk to Maitland & Port Stephens Toyota about Toyota Access today. If you're looking for a new or used car, there's really no better way to make it happen than with a little help from Toyota Finance. We offer a variety of options for car loans that fit around your lifestyle and specific needs. No one knows car finance like Toyota Finance, so let's make it happen. Talk to Maitland & Port Stephens Toyota today about Toyota Insurance. DISCLAIMERS: Terms and conditions apply. This advice is general in nature and does not take into account your objectives, financial situation or needs. Before making a decision to purchase any of the insurance products you should consider the appropriateness of the advice taking into account your own objectives, financial situation and needs and refer to the current PDS for the relevant product available from Maitland or Port Stephens Toyota, via the website toyotainsurance.com.au or by calling 137 200. Toyota Insurance purchased in a dealership or via the Toyota Insurance National Customer Solutions Centre is issued by Toyota Finance Australia Limited (TFAL) ABN 48 002 435 181, AFSL and Australian credit licence 392536. The insurer is Aioi Nissay Dowa Insurance Company Australia Pty Ltd ABN 11 132 524 282, AFSL 443540 (Adica). If Toyota Insurance is purchased online, the issuer and insurer is Adica.